Dolls are not just for little girls. As a child, I loved to play with Barbie dolls and could spend hours making up adventures and stories for them. Barbie had a cool house, amazing cars, and a wardrobe that was so sophisticated. Larger dolls that I could carry and push in strollers were another favorite. When I go to the American Girl Store, I notice that the mothers are just as excited about the dolls as their young daughters. Dolls representing fashion icons, famous actresses, or royalty are particularly exciting. Imagine a doll who is all of this in one woman. Imagine the Grace Kelly Barbie. 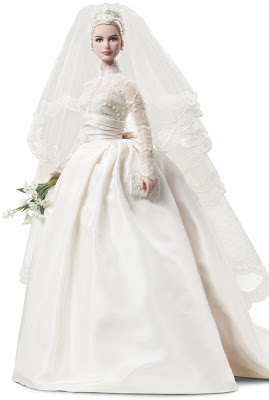 On Friday, August 12, Mattel released a special edition Princess Grace Bride Barbie. 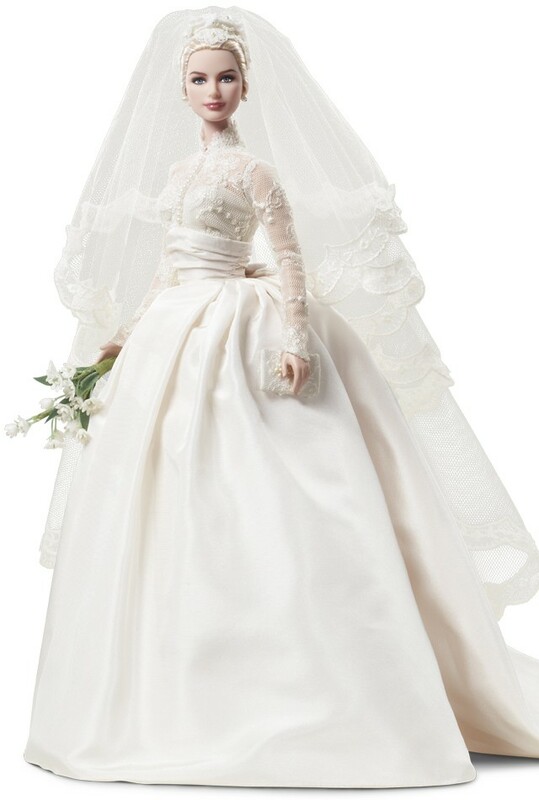 The gorgeous doll models Grace Kelly’s iconic wedding gown. The gown’s style is timeless and is just as perfect as it was in April 1956 on her wedding day. Every detail of the dress is beautiful, from the pearls on the bodice to the long tulle veil. Grace Kelly Barbie dolls will be available in four different variations. 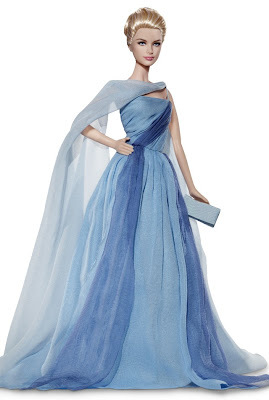 The Grace Kelly To Catch A Thief Barbie made her debut in earlier this summer. The pretty Edith Head designed blue dress is one of my favorites. Although I am not too sure that this doll actually resembles Grace Kelly, I love the costume. What do you think? 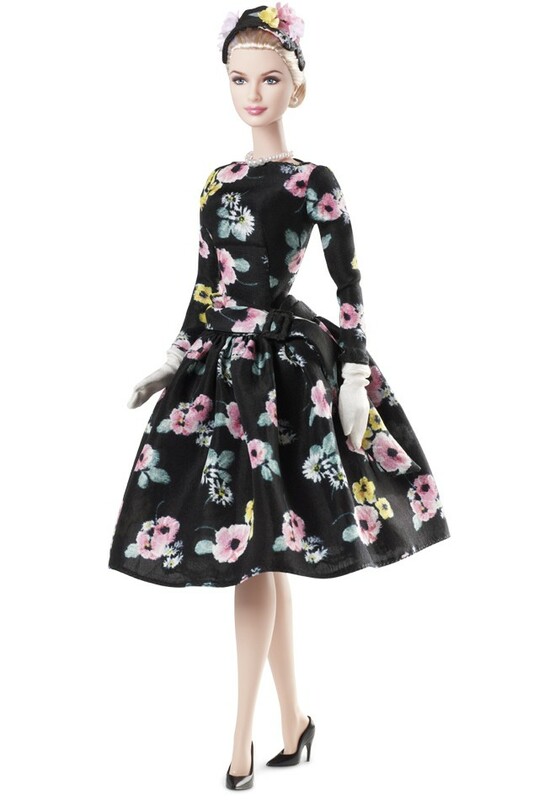 In October, a doll wearing two of Grace Kelly’s most famous outfits will be released. The famous floral print outfit is one that she wore in Cannes, when she met Prince Rainier. This is The Romance Doll. Can you believe that Grace Kelly's dress was made from a McCall's pattern? Amazing. In 2012, another Grace Kelly Barbie will be released. Rear Window is my favorite Grace Kelly movie, so this release will be a must have! The price ranges for the dolls, but whatever your budget, I recommend that you act quickly because these items are only available for a limited time. I picked up a special edition Lilly Pulitzer Barbie at my local Toys R Us and later discovered that they are difficult to find and are no longer widely available. You can view the entire Grace Kelly collection at Barbie Collector. 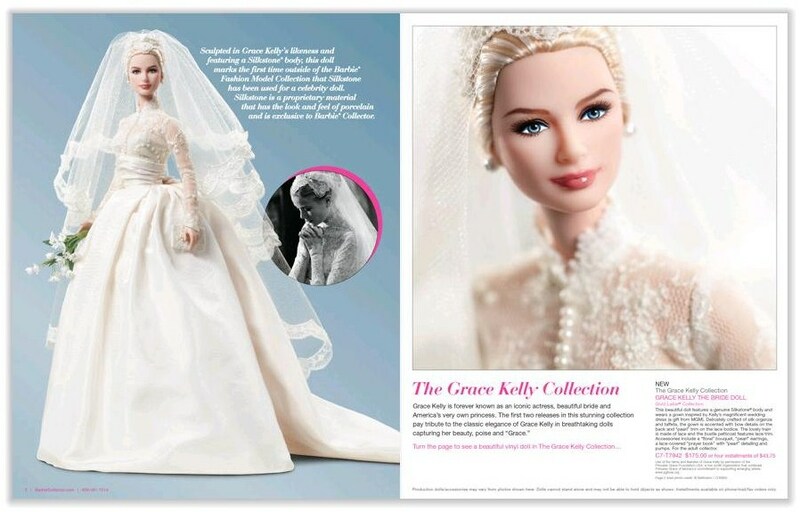 LOVE the Grace Kelly Barbie!!! I love all those gorgeous barbie gowns. The Grace Kelly Barbies are lovely. 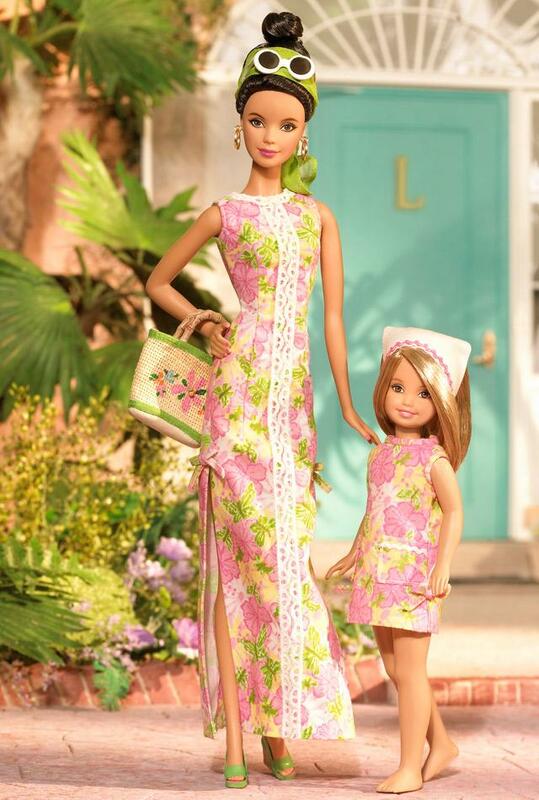 And I didn't know that there was/is a Lilly Barbie. How fun that you got one. Grace Kelly is one of my favorite style icons. I may not get them all but I am definitely wanting the bridal version. I still think of her wedding gown as one of the most classic of all times! I am hoping to have a gown very similar made for my daughter when the time comes. Her only request is that the lace top be removable after the ceremony.